I decided to see first hand what situation the homeless were in at the Lowell living Center. they are fed and have relatively safe sleeping quarters if you are proven sober. the first night I was left to stand on the sidewalk with the "Protocol" clients. drugs and alcohol use is rampant. as someone that has been in the Military and voluntarily put himself in the situation, I was ready to handle it. to someone who finds themselves in dire need of shelter, it would be shocking standing in line waiting to be processed. little or no information is given to new arrivals. no pamphlet or instructions are given and even I was set back by the total lack of direction. emergency exits are not explained and and neither are facilities that are available. I had no Idea that showers were in the basement as well as a poorly maintained washer and dryer. to be honest I was not told that food would be served in the morning. the next day I volunteered to help with laundering blankets, sheets and pillowcases. volunteers are rewarded with early entrance to the dining room. you also are able to stay inside and keep warm which, you would think, attract enough help but does not. the laundry is in the basement of the shelter, 150 year old factory. it had been somewhat "renovated" but is extremely dusty with dander, mites. wool dust, wood dust and dirt and proper ventilation and added fresh air is not provided. dust masks were not provided and when requested, were treated as a very minor need. simple tasks and turned into near impossibilities with simple and well practised no. so tasks that have be ordered or need to be done take more time than is necessary and add a frustration aspect that pushes one to perhaps be reprimanded, punished or be thrown out. when asked why everything, even acquiring a dusk mask, turns into a up hill battle, the answer is "We are a Non- Profit" OSHA regulations state that dust masks must be made available and worn by those who must work in an unpurified and under ventilated ares. no masks are present and requests for masks are answered with "We are a Non- Profit. average for workers income is $40,000 - $60.000 yearly .some profit is being made. I showed up last night. the people that run the shelter are caring and down to earth .the men's section is, well what you would expect. some guy's trying to make the best of a situation. if you've been in the Military you have an idea. no problem. it's warm, clean and I had some good coffee and a bagel for breakfast. it damwell beats the streets. Thanks To All! YOUR WEALTH IS AS FRAGILE AS YOUR HEALTH. Your opinion matters. Leave your review of Lowell Transitional Living Center. 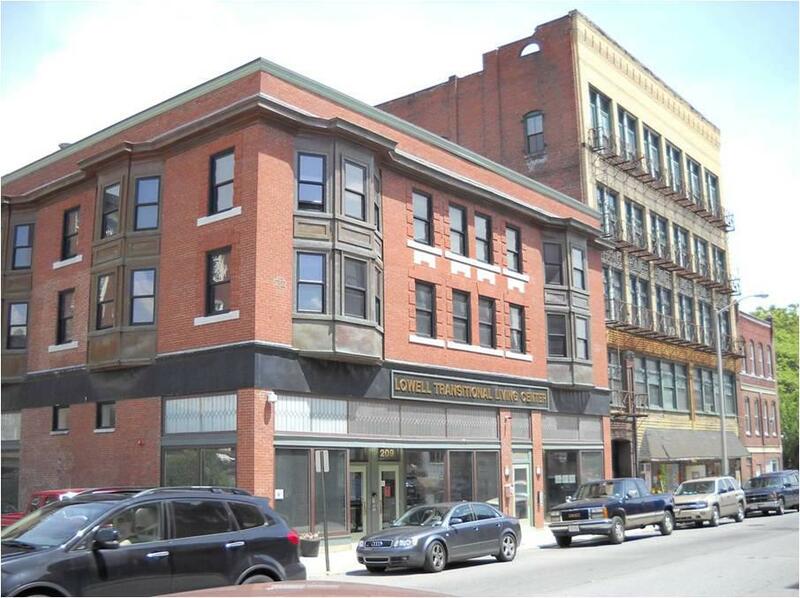 Description: Lowell Transitional Living Center provides three daily meals, a safe environment, detox placement, individual assessment and referrals, medical care, case management, street outreach to chronically homeless, rep payee services, clothing and on site GED and support group programming. The Lowell Transitional Living Center provides the most vulnerable adults in our community with programs and services that meet immediate needs for emergency shelter and food, along with case management and other help that enable those we serve to make the transition from a shelter bed to a permanent place to call home. Our Case Management Program is the heart of our organization. With our clients, Intake Case Managers develop a plan that will lead to employment and housing. Sometimes it is the little things that require the help of a case manager, such as obtaining a form of identification, or accessing health care. Other times the problems are long standing and difficult. Either way our dedicated team of case managers provide support, education, and guidance on the road to housing and self-sufficiency. Case Managers promote overall stability, emphasizing physical and behavioral health and nutrition. When needed, our case managers work with those in need of drug/alcohol rehabilitation through relationships with local rehabilitation programs, as well as proving transportation. Many clients elect to enroll in continued Case Management to maintain stability while in housing. Do you have items to donate? Contact Lowell Transitional Living Center at the phone number provided above to see if they can use any items you may have to donate.